Growing older certainly does not mean you have any fewer rights to be happy. In fact, in our books, we think you’ve earned the right to even more happiness and the chance to share that with someone special. Whether you’re a late bloomer, starting over, or just looking for something new, we’re here to help. Our staff has compiled the list of the best online dating sites for seniors. These sites are specifically tailored to the unique needs and wants of senior daters. As experience citizens of this Earth, we know the importance of keeping ourselves safe with anything we do. We know that this is especially true when it comes to computers and using the internet. If we follow a few simple guidelines, we can ensure that our time dating online is going to be fun, exciting, and safe from the dangers that are out there. You may be brand new to computers, or you may be very experienced with them. You may be making this journey on your own or getting some help from the kids or grandkids. Either way, you’re going to be in good hands. Being safe online as a senior dater comes down to a few important things. Make sure that you join a reputable site that you can trust. This is the most important online dating tip that we can give you. If you make sure to spend your time online somewhere safe, then you are much less likely to have any trouble. 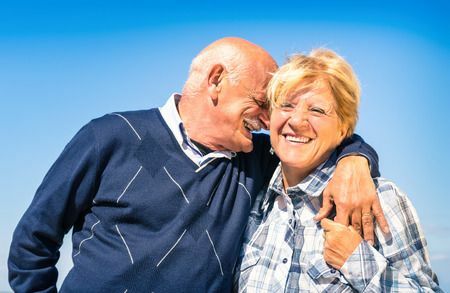 To help you find sites you can trust, our team of expert reviewers (of all ages) have searched the web and reviewed as many of the online dating sites for seniors that we could find. We looked through them to see how trustworthy they are and have compiled the list of our favorites above. If you choose to date online with one of these sites, we are sure that you’re going to have a great time and don’t have much to worry about. Are there still things you have to be careful of? Of course, but it’s going to be far less likely that you have any troubles. Make sure you don’t give out too much personal information. Sadly online there are a few scam artists that try and prey on older citizens. They seem to think that we are vulnerable to their new age tactics and aren’t smart enough to stay one step ahead of them. Lucky for you and bad for them, we’ve got you covered. Protect your personal information at all costs. A potential date never needs more than your first name to set up a date. If you want, you can give them your phone number, but that’s all they would need until you meet them and see that they are someone you can trust. NEVER give out any banking or credit card information to potential matches. Never give out your birthday, social security number, or anything else. Eventually, as you learn to trust someone new, you can lower your guard, but you should be protected at first until you reach that point. We don’t tell you any of these tips to scare you away from dating online. It’s a fantastic way for seniors and experienced citizens to find love and someone else their age to have fun with. We just want to make sure that you do things safely and that way you can have an awesome experience. Online dating is going to feel different at first. Things are a lot different than they were the last time you were dating. That being said, you’re someone who has lived a full life, and you have a wealth of personal experience. Your filter for what is right and what is wrong is not to be discounted. This means that you should use your intuition you’ve trained over the years when you date online. If something does not feel right, then it probably isn’t right. If you ever feel worried or uncomfortable about something, contact the dating site’s support right away and ask for help. When you buy a membership, you’re also paying for those people to help you in your search. This most certainly includes keeping you safe and protected. When you’re dating online as a senior, things are going to be different. You’ll be dealing with people of all ages who have had a lot of different experiences in their lives just like you. We want to give you some special tips that we think are important for seniors to keep in mind when they are dating. These tips are aimed at making sure you have the best possible time while searching for someone special. This may include you or you may know friends that are this way. Computers came out long after our younger days, and a lot of us have yet to take the time to really get acquainted with them. Even if you are an expert with them, a lot of the people that you may be talking with might not be. What does this mean for you? Be patient with people. You have to realize that some of your matches are not going to respond as quickly as you or they may have a few issues with the websites that they have to figure out first. Just be patient and understanding of this, and you’ll have a great time dating online. If you’re someone who has trouble, remember to contact the customer support of the site you are on, and they should be able to help you with anything you need. With younger daters, some of them don’t have much of a dating past. With senior daters, though, everyone is going to have a past. We’re not telling you that you need to settle by any means, but we want you to keep an open mind when it comes to selecting mates. Remember, everyone our age has lived a significant portion of their lives. This means they may have kids, grandkids, past marriages, health issues, and a whole host of other things that we all deal with. Be open-minded and don’t be scared, to be honest with your potential matches. You’ll be impressed with how much this will help your online dating experience to be that much better. The more accepting you are of others, the more they are going to be of you. We’ve all been through things in our lives and have some great and some not so great memories. Let’s take the time to share those with each other and not be quick to judge anyone for their past. We are certainly not here to tell you how to date or what to do. That being said, we have quite a bit of experience in this industry that we would like to share with you. You’re going to have a lot more luck dating online if you choose to date other seniors and avoid trying to look too young in your matches. It may be tempting to message someone much younger (and you may be a perfect match), but a lot of times this can create other issues. We are certainly not saying what you should do, but it’s our experience that focusing on meeting other like-minded seniors is the way to go for a successful experience. Should You Pick a Mainstream Site or a Senior Dedicated Dating Site? One question a lot of seniors have (or their kids that are helping out) is whether they should join a site dedicated to seniors or they should join a site for all ages. While you will certainly find some seniors on mainstream dating sites, you’re going to have a lot more success and a lot more options on senior dedicated sites. Why is this? This is because the sites specifically cater to seniors. They know what you want, what you like, what you need, and most importantly how to help you find other quality senior matches. You’re also going to find matches that are more serious and a lot less likely to be flakey or not serious about the process. 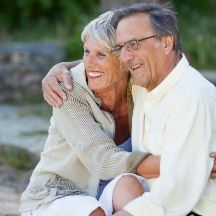 In our opinion, you will have a MUCH better experience online dating with a site that is dedicated to seniors. The sites we’ve listed at the top of this page will be perfect for you and should really help you to see who else is out there. You can’t know what there is until you take some time to look. What’s great about a lot of these sites is that they allow you to search through the matches for free before you buy a membership. You’ll be allowed to see who is in your area and who you might be interested in chatting with before you have to get a paid membership. This will ensure that you don’t waste any money on a site that you end up not liking. A lot of the senior dating sites also have guarantees that ensure you enjoy your time at the site. Make sure to look into those as they should give you peace of mind before you take the first step in your next stage of life.